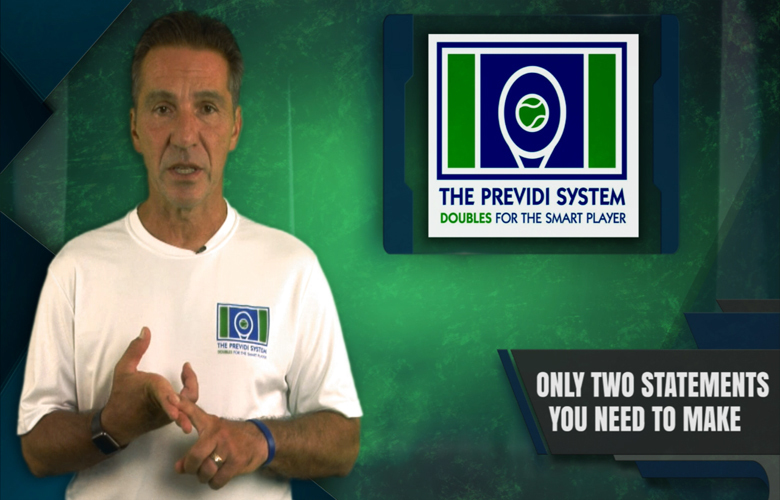 The Previdi System videos were created to help guide you through a easy to follow learning process for Doubles Tennis. 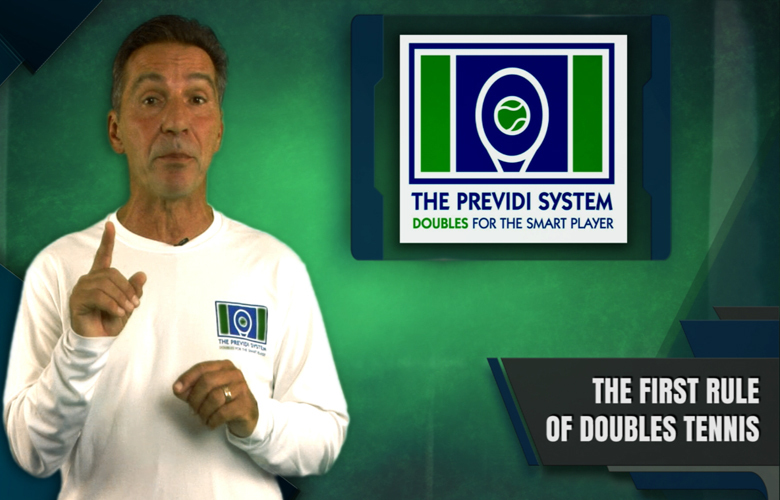 The videos on this page are directed towards the players, coaches, and doubles teams. This is a complete list of our Previdi Tips videos. We are consistently updating our pages with new videos, so we invite you to check back often! 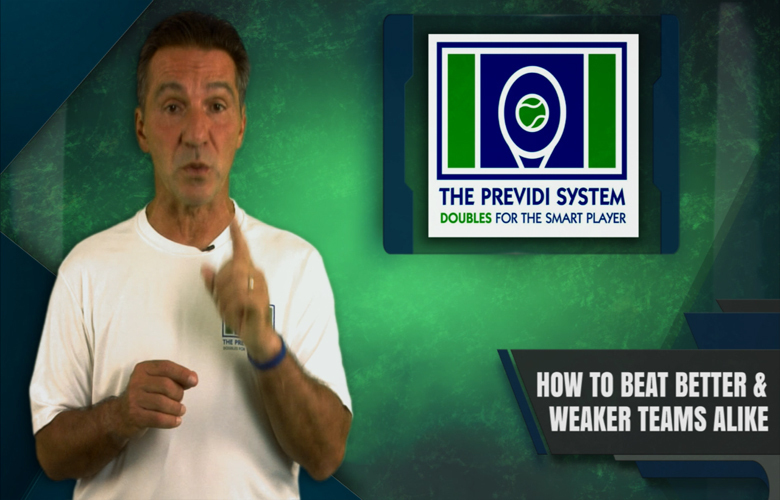 TOPIC: The First Rule of Doubles is: Keep the ball low so that your opponents are always hitting up and if you can't keep it low, lob. EFFECT ON THE GAME: My college coach taught me that rule many years ago and it still holds up today. 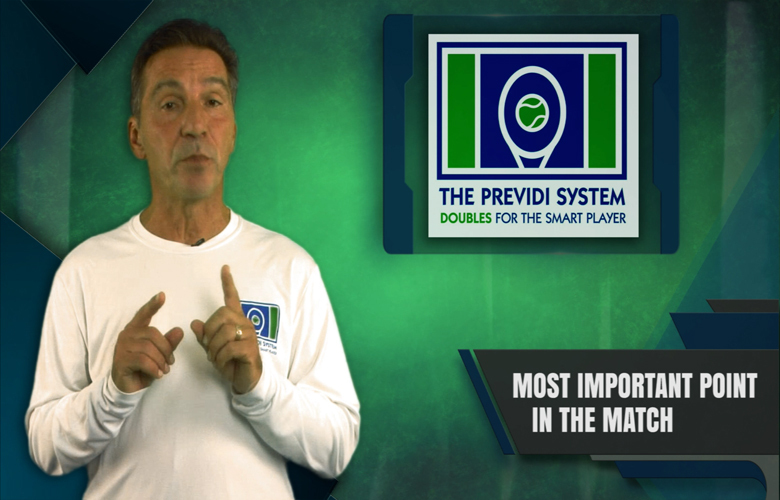 Topic: The most effective return of serve in The Previdi System is the SAL return. Short, angled and low. 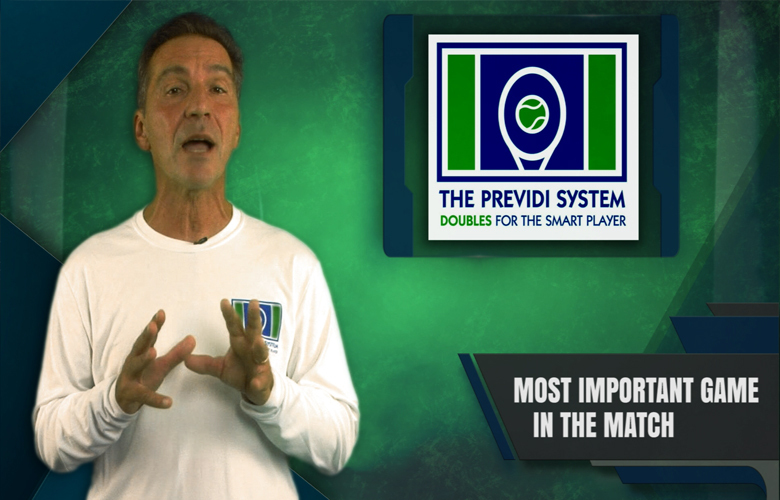 It is equally effective against servers who stay back and those who serve and volley. It minimizes the opponents ability to lob, hit aggressive passing shots and forces the volleyer to hit up with a large opening between the opposing partners. The area the SAL return is hit to is called Jail. This the saying you will often hear us and our players say, "Put 'em in jail!" 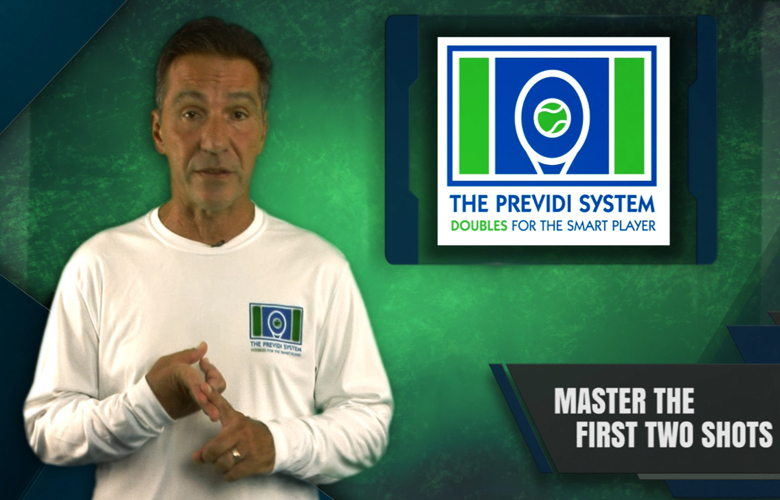 EFFECT ON GAME: Once you've mastered the SAL return you will be putting the server under a lot of pressure and keeping their partner out of the action. We complement this return with the Offensive lob return which goes over the net players head and must be retrieved by the server as well. 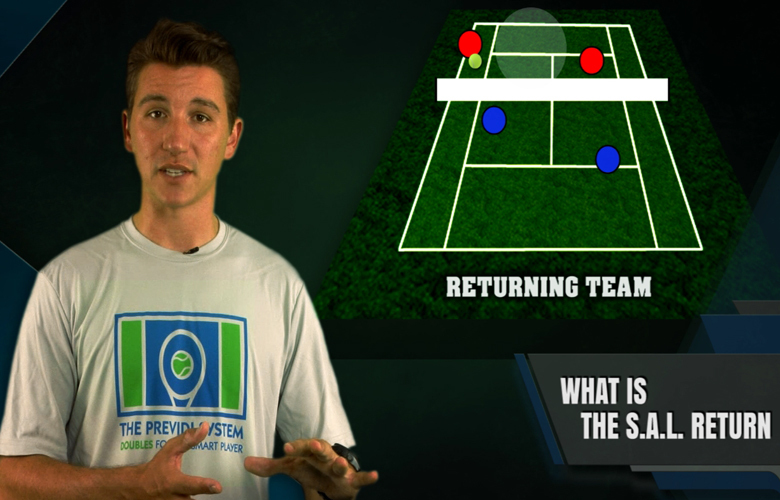 All the returns in The Previdi System are complementary and set up the others to form a cohesive game plan. 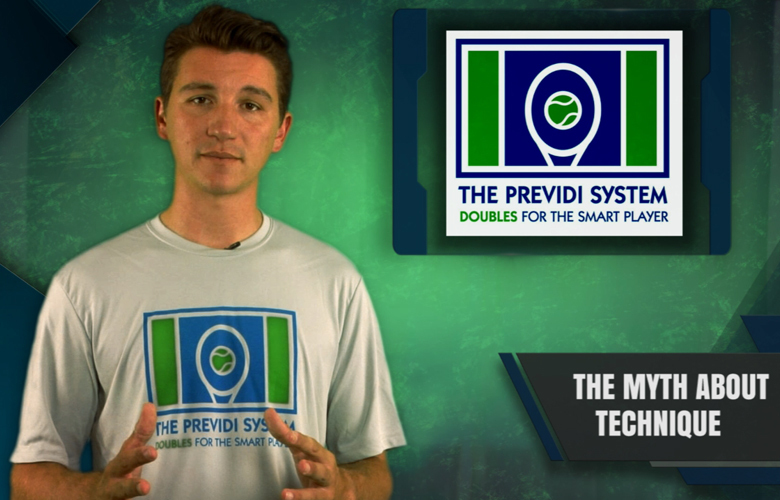 Topic: In The Previdi System, the doubles partners have different roles and different names. The Hunter is directly in front of the ball when it's on the opponents side and The Helper is always crosscourt from the ball. The Hunter is always closer to the net and The Helper is always farther from the net so we're in a staggered formation. 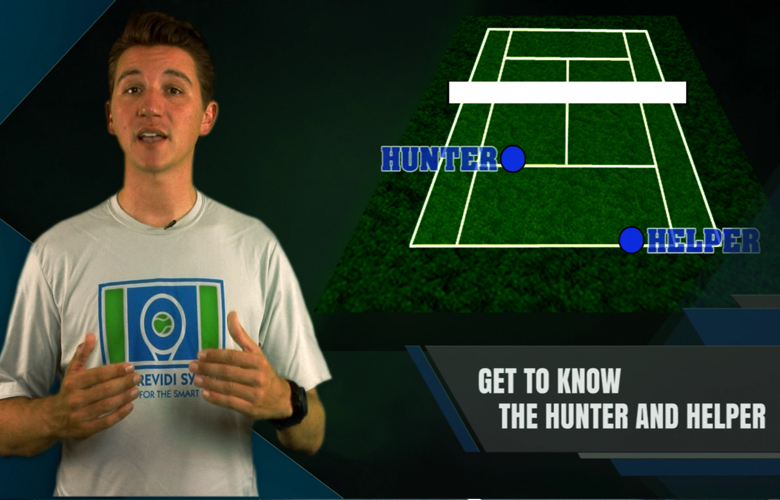 EFFECT ON GAME: Once a doubles team has mastered the roles, positioning and shot selection for Hunter and Helper, their teamwork will be seamless. There are no overlapping responsibilities so confusion is eliminated. We will effectively neutralize the most damaging shots the opponents can hit. 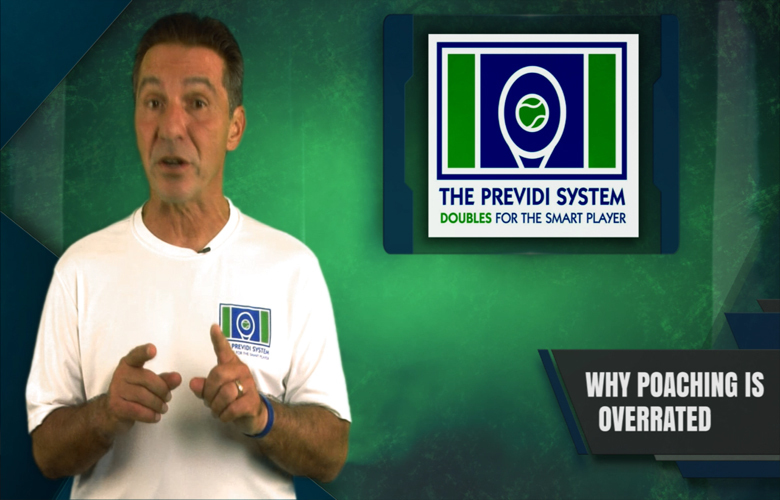 Crosscourt lobs can't get over our heads, we have opportunity and responsibility on middle balls instead of confusion and we take away crosscourt angles. Stay tunes for more about Hunter and Helper in future videos!